As far as Android skins go, Xiaomi’s MIUI 8 is a commendable effort, with plenty of options for customization and theming. But I’ve had it with its notification shade, which doesn’t allow you to expand certain apps’ alerts to act on them directly, like Gmail. That means you can’t archive or reply to messages without opening the app. I tackled tons of messages over the past month on a OnePlus 5 which allows this, but the Mi Mix 2 I’m testing is plagued by this infuriating issue. 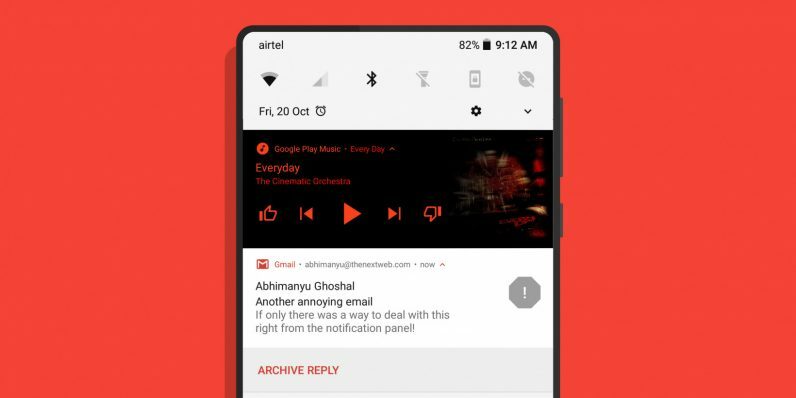 That’s where Material Notification Shade comes in. Find Material Notifications Shade on Google Play.